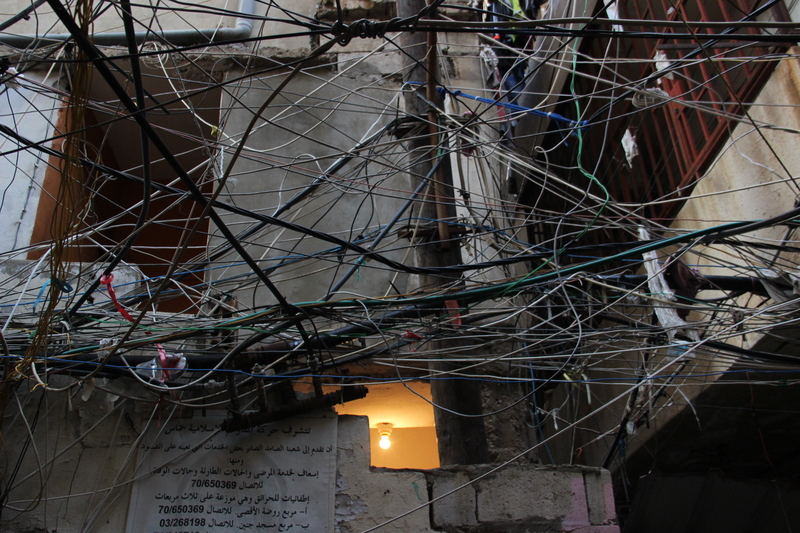 Under the shadow of thick, black clouds sweeping in from the mountains one February evening in Beirut I climbed into the back of a taxi in Gemmayze; the historic, bohemian quarter of the city, populated by hipsters and artists, and mentally braced myself for where I was about to go. I thought the pictures I had seen in articles and in my mind would prepare me to some extent for how I was about to feel, I couldn’t have been more wrong. My name is Katherine and I work with Jaz at The Worldwide Tribe. I have come to Beirut for three months to volunteer with SB Overseas, a young Brussels based NGO that we have been in touch with for some time. SB’s on the ground operations are stationed in Lebanon, where their small team of Syrian teachers, administrators and psychologists dedicate their lives to educating and supporting Syrian refugee women and children in their three schools located in Arsal, Saida, and here at the Beirut centre, Bukra Ahla – ‘a better tomorrow’, where the majority of students come from the neighbouring Shatila refugee camp. 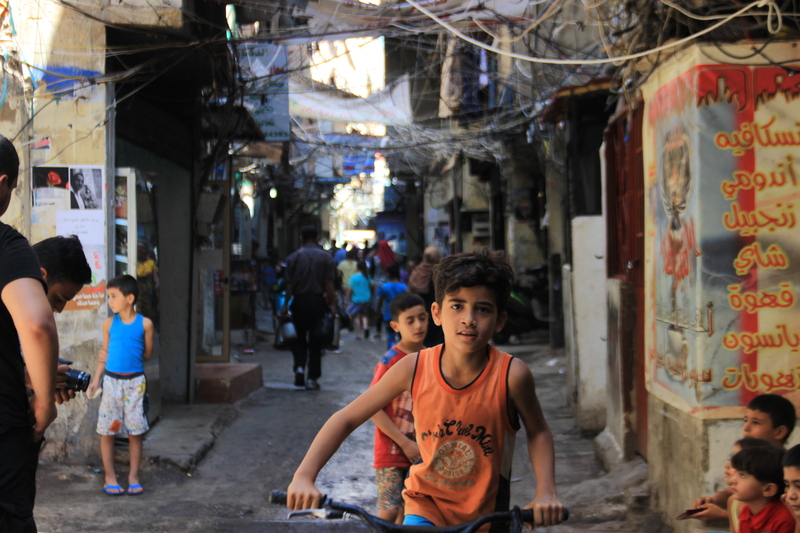 Originally a Palestinian camp, established in 1949 to accommodate the influx of refugees fleeing the Arab–Israeli War, today Shatila is home to thousands of Syrian refugees. Finding a taxi willing to bring me here was a challenge in itself. Many flatly refused, others gave me extensive lectures in Arabic warning me to stay away. Once I had found a cooperative driver, we eventually passed through the checkpoint monitoring all who wish to enter or leave, and I began to understand. My honest feeling entering this place? Uncomfortable, very uncomfortable. Coming from beautiful Gemmayze the contrast is dramatic. I stepped out of the taxi onto a dusty, dirty street with the oppressive screech of sawing ringing in my ears and thick, diesel fumes filling my lungs. Wael, the centre manager greeted me with a warm smile and shouldered my bag. Together we walked into an old high-rise and he showed me up to the apartment I would be sharing with seven others during my time here, a few floors above the school. I went to bed early and lay awake, open eyed in the dark for a long time, feeling guilty for my discomfort, until eventually slipping into uneasy sleep. The next morning I walked into Bukra Ahla. The knot in my stomach immediately began unravelling at the sight of the bright, colourful walls, welcoming smiles and happy chorus of A-B-C ringing through the centre. My only job for the day was to observe classes. Never have I experienced such a dramatic emotional U-turn. Observing the magnetic Syrian teachers, Ahmed, Ahmed, Safa and Abdhulla, and the volunteers teaching their vibrant, funny students English, Arabic, maths, science and life skills made my heart burst. Within an hour I had fallen completely in love with the school and everyone in it. From that moment I felt so privileged to have been welcomed into this family. 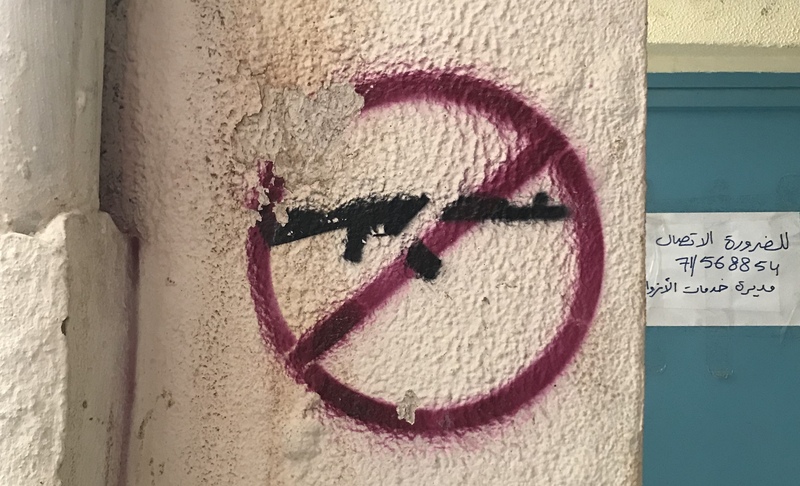 Last week we crossed the street and walked inside Shatila refugee camp, which we cannot properly enter without supervision, for the first time. No picture or article could have prepared me. 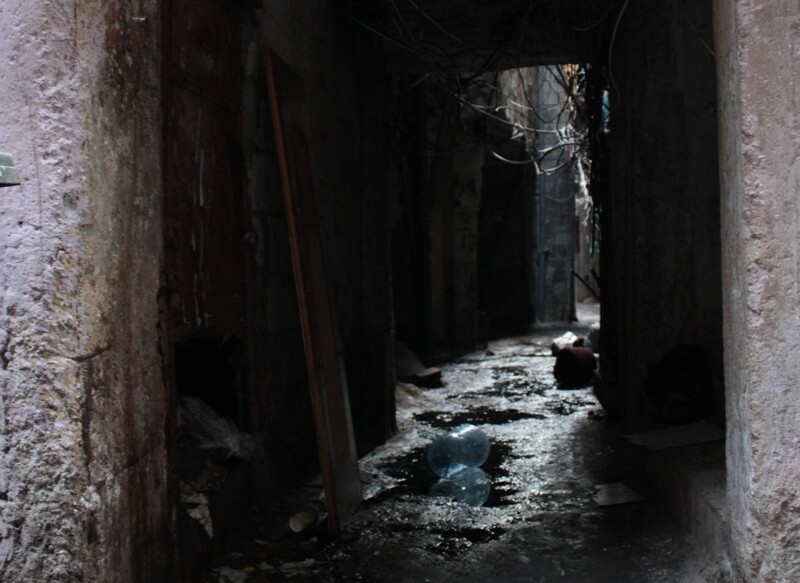 This labyrinth of narrow alleyways is claustrophobic, dirty, overcrowded and wet. Overhead a thick tangle of pipes and exposed live electrical wires form a dangerous, dripping web over the camp. I think of the older children, who still have memories of their once warm, happy homes in Syria, leaving school and walking home to this every day. I think of the youngest children, still babies, born in this camp, the way they run around our safe, clean classrooms, climbing on chairs and touching everything with their perfect little hands, with such innocent, enthusiastic curiosity, and I feel sick as I imagine those tiny hands doing the same here. I feel deeply ashamed at my own discomfort when I arrived. I have not heard one Syrian person complain about their living conditions. The words ‘uncomfortable’ and ‘resilience’ have different definitions here. SB Overseas is in no uncertain terms a bright light in this dark place. 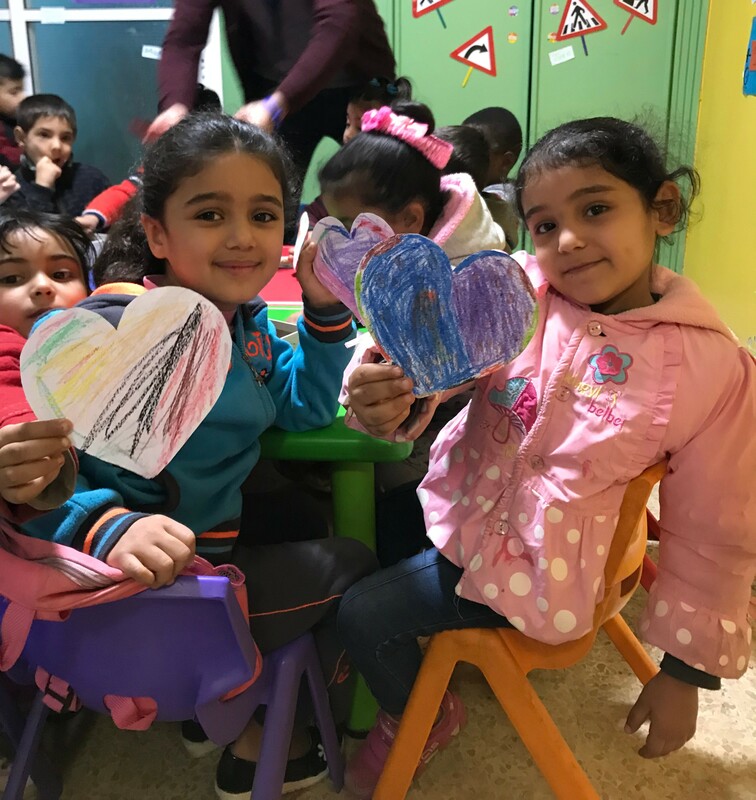 This NGO, this family, built by refugees for refugees, is fighting to give these innocent, amazing kids a safe and happy place for them to learn, play and be children, as children are meant to be. It is fighting to give them the opportunities, hopes and dreams they so deserve. 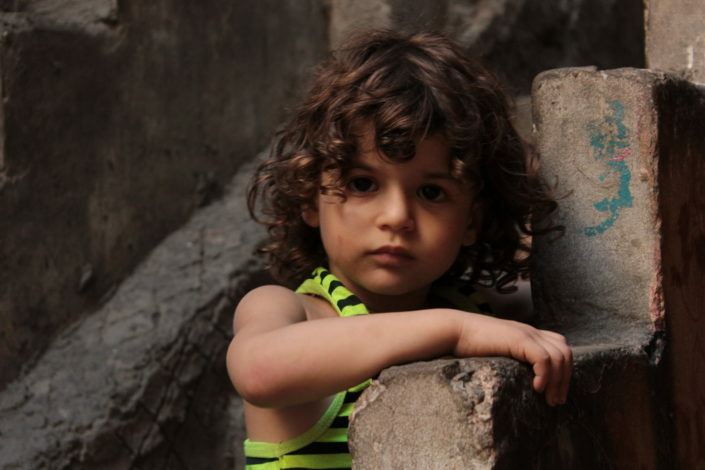 It is fighting against losing this generation of beautiful children to a war they never asked for. 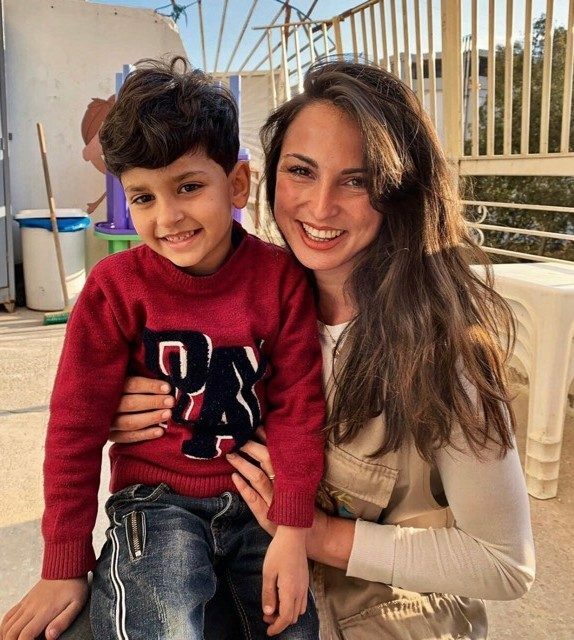 As much as I want to feel that there is nothing that divides me from my new SB family, or from these incredible children, the uncomfortable, unavoidable truth remains…as I walk through the damp, dirty streets of Shatila, for my British passport and I, being here is a choice. For them, it is a sentence, with no clear end in sight. I can leave and go back home whenever I want. They may never. 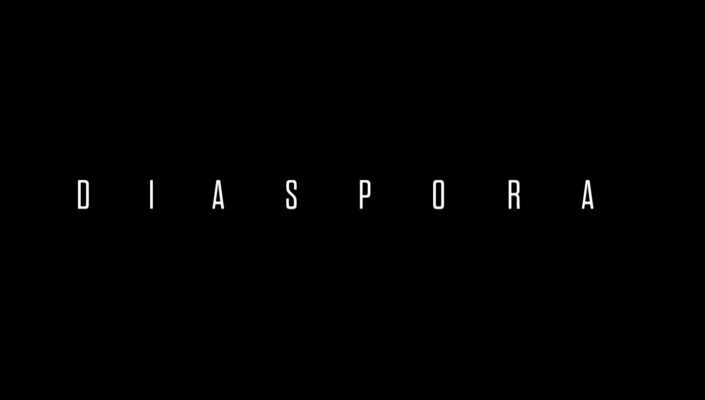 And suddenly I realise what truly makes me uncomfortable about this, because of my passport and the safe and privileged country I was born in, I, and all of us, can choose whether to acknowledge their suffering, or to awkwardly look away and pretend we can’t see. We can choose whether to stand beside them or walk away. With all my heart I choose to see and stand with them, and will remake that choice every day until they have the opportunity to live as I do. I will be talking more about SB Overseas and introducing you to some of my incredible colleagues and students in the coming weeks, SB cannot continue the amazing work it does without support. Anything you are able to give would make a huge difference to these children, and simply reading these posts and committing to see and stand with them is enough. Thank you for your support.